Beekeepers David Moore and Brett Tonks visited our friends today, and the hives continue to thrive. 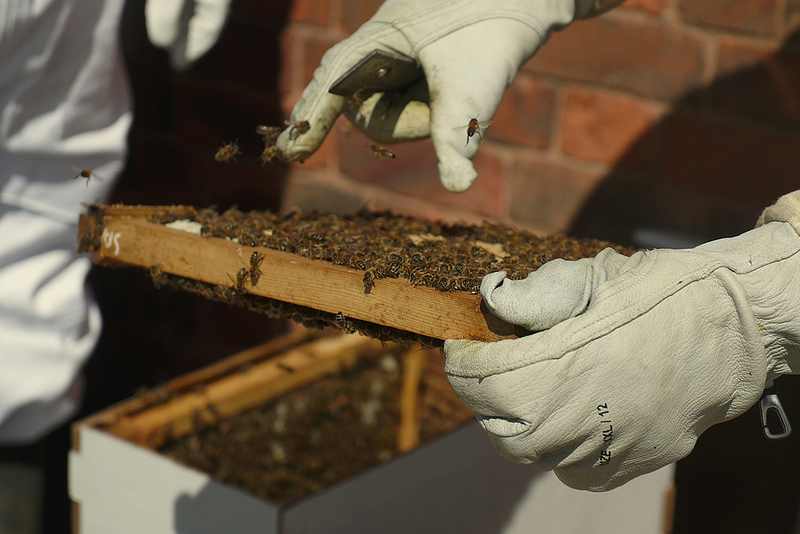 The bees have now populated new sections of their home and are busy laying larvae and crafting our very first honey. 2016 is going to be a great vintage. We've been living with our 30,000+ black and yellow neighbours for a few weeks now, and I must say, they've been super busy. They seem to have settled in and adapted to their new neighbourhood well, they keep themselves to themselves and haven't upset anyone (we know about). We check on them regularly and are happy to report that the honeycomb building is well underway. The weather has been pretty conducive to pollen and nectar collection so we could be on track for some City Hive Society Honey as soon as 2016.